The Dawn’s riverside accommodation and facilities are immaculately maintained and designed to provide a peaceful sanctuary that promotes physical, mental, and spiritual healing. As an all-inclusive addiction treatment centre and wellness retreat, all guests are accommodated in one of our thirty Lanna-style private rooms. All of the stylish rooms have attached bathroom with toiletries, a wide screen TV and boast high quality bedding and teak furniture. In addition, you have plenty of time to relax and enjoy your own private veranda. Your comfort, care and positive outcome are most important to us. On the banks of the Ping River, in a peaceful setting with mango trees, and walking grounds, this private villa is the perfect setting for health and well-being. 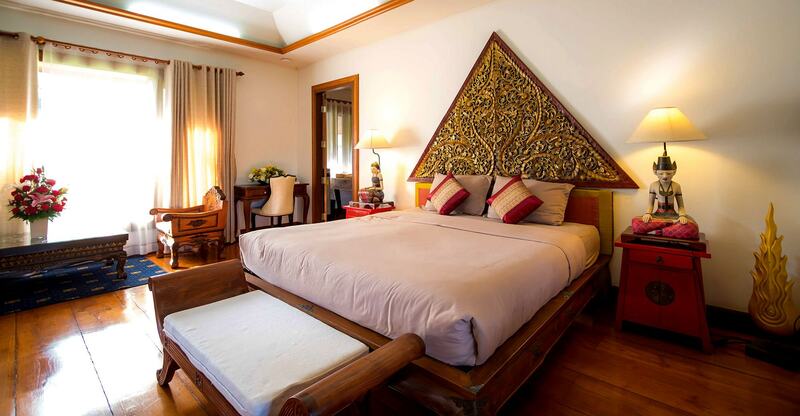 Furnished with the comforts of home, this river-view villa will be your own private sanctuary during your stay. Sit and relax on your balcony, while enjoying the natural beauty of Thailand.You are guaranteed to unwind, relax and de-stress here. The Dawn’s facilities are specially designed to provide extremely specialised services. Nestled amongst tropical gardens and picturesque grassy areas, our purpose built centre will immediately set you at ease and open your mind to the concepts of positive thinking and mindfulness. Our facilities feature various elements that will help deliver the perfect balance between rehabilitation and wellness.